Pilgrim Scribblings: I'm On The Rock Hallelujah! 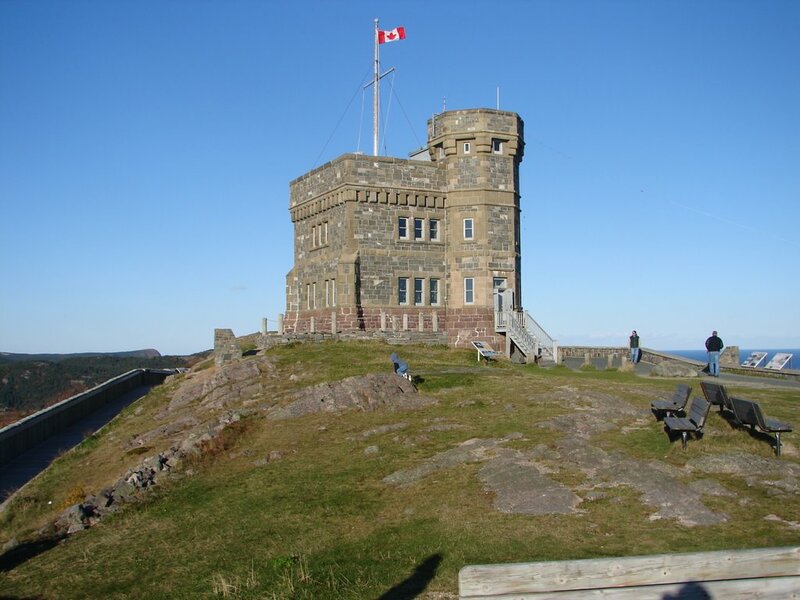 This afternoon David Kennedy and I landed on "the Rock" here in Newfoundland. It's my first visit to Canada's easternmost province. I'm impressed...already! One of the first places we visited was Signal Hill (pictured), high above St. John's harbour. Looking out over the Atlantic, I heard someone come up behind me and say, "what's David Fisher doing here?" It was a couple from Ontario who had a trailer near ours at Elim Lodge. Small world! You just can't hide anywhere! 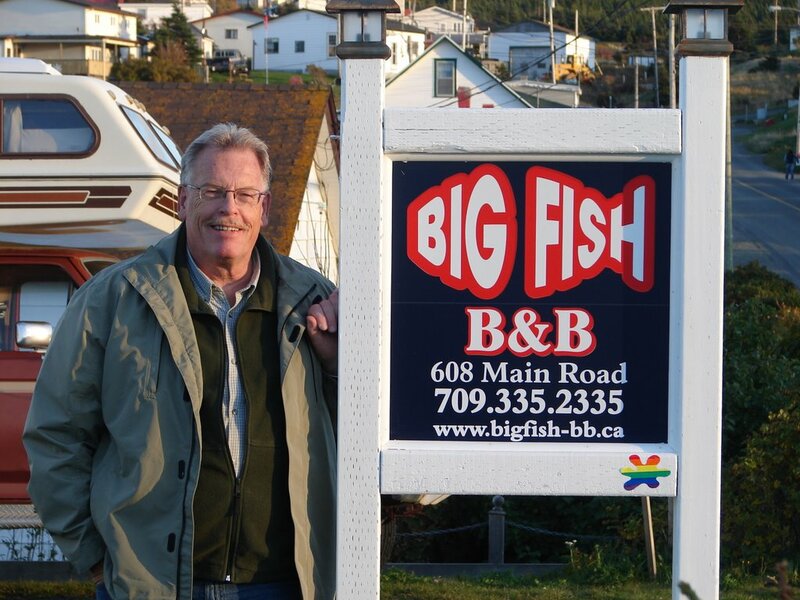 We had to stop and take a photo of the "Big Fish B & B". Maybe that will be my lot after I retire...operating a bed and breakfast overlooking the ocean. Tomorrow we drive north to Lewisporte where David K. will be speaking at a conference for the Pentecostal pastors from Newfoundland. I'll have a day and a half to read, write, sightsee and relax. Wow! Relaxing! That's a concept that's foreign to me. I'll keep you posted if I can find an internet connection. On Thursday I may go down to Gander and watch the planes landing and taking off. I should be able to get connected there. 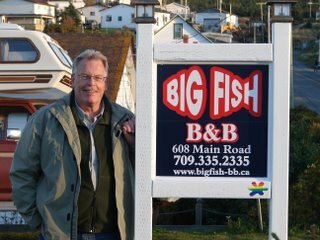 *laughing* re the BIG FISH sign ... ! Hey David...I surely do HOPE that you brought lots of camera sticks with you!! That is so funny that you met someone that knew you!! WHO doesn't know you David Fisher?.. Just like that couple we met in Brandon Manitoba this year knew the Fishers!! You have to write some books FIRST David before you buy a bed and breakfast.